As a Realtor licensed In Texas, I make sure that your best interests are protected and provide exceptional services to my clients across many Houston and surrounding markets. My business is built on: Dedication, Communication, Determination & Trust while embodying the ability to cater and adapt to all of my clients Real Estate Needs. Just as the Real Estate Industry evolves to become more innovative and efficient, so do I! A Kansas native, “I wasn’t born in Texas, but I got here as fast as I could!” I have been living in the Houston area for over 20 years. My knowledge of the city’s geography can help with all of your Real Estate endeavors. 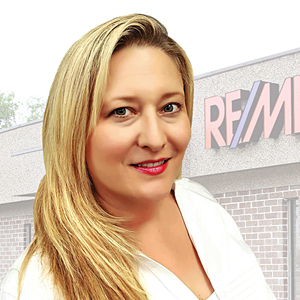 Working with me at RE/MAX 1st Class , will provide you with exceptional Real Estate services. Rest assured, I will listen to YOU! With an understanding of all your needs and wants, I will do my best to help you achieve them all! As a graduate of Kansas State University & University of Texas Dental Branch-Houston, I will use all of my education and experience to help you with all of your real estate needs! Let’s go House Shopping!!!! Updated: 19th April, 2019 2:39 PM.